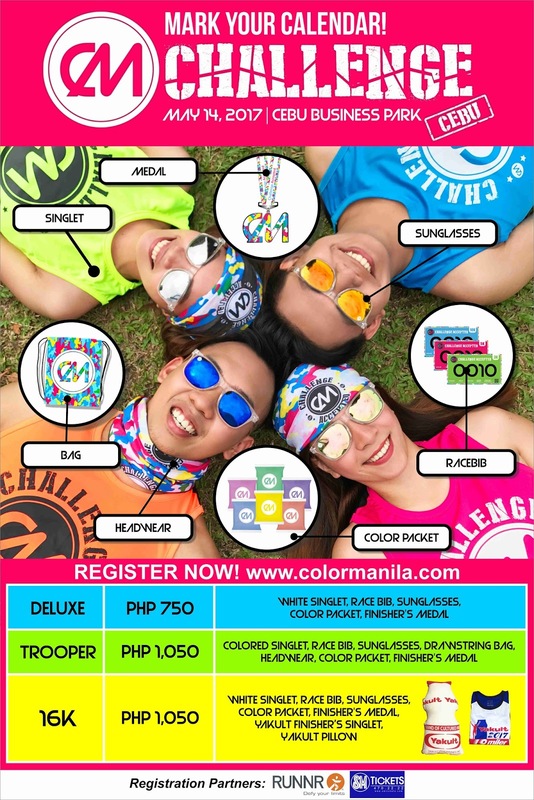 COLOR MANILA’S CM CHALLENGE RUN, which is the biggest obstacle fun run in the country, will be back in Cebu City on May 14, 2017, at the Cebu Business Park in Ayala Cebu. 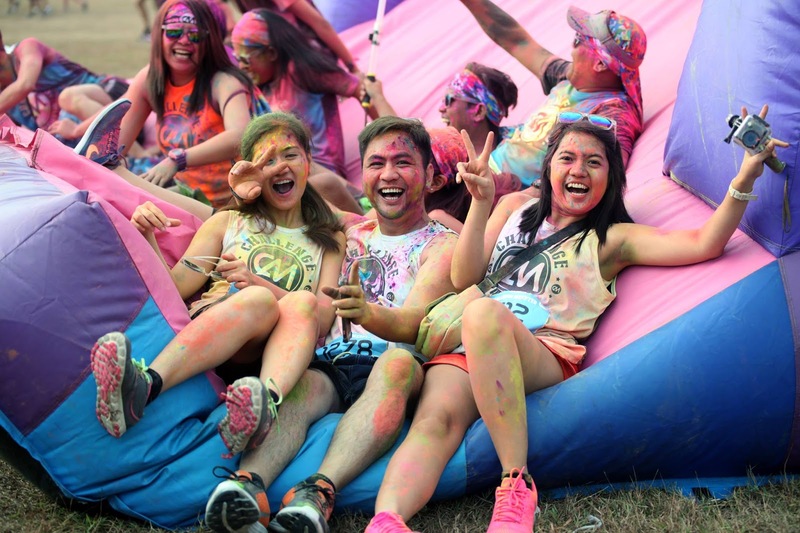 “We are more than excited to bring back the CM Challenge franchise to Cebu, and we are expecting thousands of participants once again to take part in our trademark colorful run,” says COLOR MANILA VP Justine Cordero. Tickets may be purchased at SM Tickets, Runnr Ayala Cebu and www.colormanilarun.com. Race kit claiming will be from May 11 to 13, 2017 at The Court Yard, Vibo Place. Sponsors for the event include Cebu Grand Hotel, Vibo Place, Nature’s Spring, Yakult, and Steel Art. Apart from the CM Challenge Cebu, upcoming CM Challenge events are as follows: CM Challenge - Laguna on June 25 and CM Challenge - Cavite on July 9, 2017.